Rohinton Mistry was born in Bombay and now lives near Toronto. His first novel, Such a Long Journey, was shortlisted for the Booker Prize and received, among other awards, the Governor General's Award and the Commonwealth Writers Prize for Best Book of the Year. 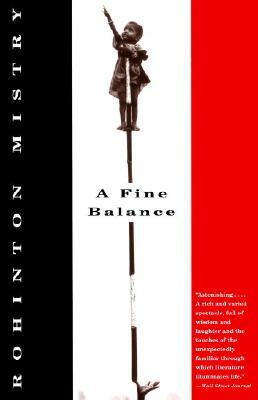 A Fine Balance is his second novel, winner of the Los Angeles Times Book Prize in Fiction, the Giller Prize, and the Commonwealth Writers Prize as well as a Booker Prize finalist. Mistry is also the author of Swimming Lessons, a collection of short stories.